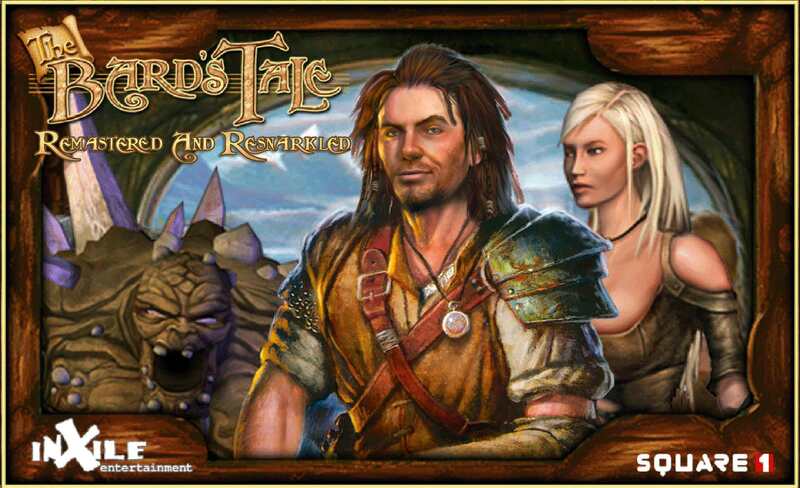 The Bard's Tale Remastered & Resnarkled now live on Steam! Hi everyone, as part of our 15th Anniversary Celebration, we're updating The Bard's Tale with a new Remastered and Resnarkled Edition. This will be the new standard edition of the game. For those of you who already own The Bard's Tale, no worries! Your version will be updated automatically for free! Updated splash screen and app icon. Runs at highest desktop resolution by default without bringing up the Graphics settings app. Graphics settings app updated to no longer incorporate legacy language settings. Instead, the Steam specified language is used which is the preferred method. Full Steam overlay support (Shift + Tab). Steam achievements & trading cards. Additional language support for Italian. 64 bit OS’s no longer crash at startup. We'll be bringing it to GOG eventually, vv. I've just come back to this game after a long time, and noticed that there now appears to be a big problem with the original trilogy (tested with BT1). Characters are not saving correctly - or perhaps more correctly, they *are* saving, but the image file (bt1d2.2mg) is being overwritten every time the game is launched (no matter whether BT2004 is left open, or run from scratch). While BT1 is running, you can save and load characters from the inn just fine, but the moment the game is relaunched, they're toast. So it looks like the problem is really very simple. When you run BT1 for the first time, it extracts a bunch of required emulator files (config, images etc) to a folder in appdata. It *also* creates a 0 byte flag file called iibt1. Then, every time you launch BT1, it looks for that flag file, and if it doesn't find it, it re-extracts all the required files to your appdata folder, overwriting anything with the same name that's already there. It's not looking in appdata for iibt1, it's looking in BT2004's root directory lol. From that point on, BT1 no longer overwrites the image files, and saves work fine. IF you delete the appdata folder, you'll probably also need to delete the iibt file to get it to recreate next time. From inXile's perspective, all they should need to do to fix this going forward is have BT2004 look in the correct place for iibt1. Should be trivial. Hi Jherad, thanks for passing this along. I'll forward this along to the team. Hopefully, it's as easy as suggested. My GOG version runs fine on Win10x64, version 1709, build 17025. RX-480 8GB, Crimson 17.11.1. No problems there. So I gather the 64-bit update to the executable wouldn't apply to the GOG version, anyway. Only thing I've noticed is that the game won't run at all with the latest Crimsons if the "Enhanced Sync" setting in the drivers is turned on (which allows Vsync-on to run at 85%-90% the performance of Vsync-off settings with minimal tearing.) With all other vsync modes selected, the game runs fine. Regarding the Bard's Tale Classics. The Steam version is extremely buggy now. I swear it got worse each time I bothered to reinstall the game. I just noticed this thread. Is there any progress with update release on GOG? Hi shmerl, I'll make an inquiry. Hi! Did you get any update on this? Hey shmerl, yeah. There were a few business-related reasons for it. However, I'm going to bring it up that you and others have been asking, just to see if there's a new window of opportunity to do so. Registered just to +1 this. Just got the game from GOG, and I'm having a graphical bug under Linux that has been fixed in the new version from what I've read. 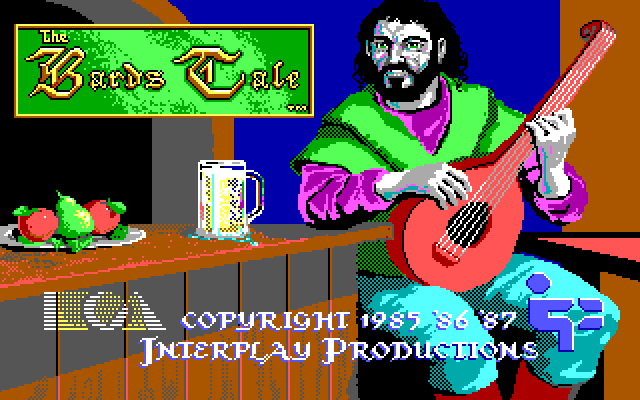 I cannot find the download for my original bard's tale. Is there a place on my pledge page that I can download them? If so, how do I get to them? Really, when is it coming? And how can you go on to sell more games on the platform if you don't fully support the ones you already have on there? Friendly reminder that there are those of us who own the game on GOG who want to have some of the updates that the new steam version has had. If you aren't willing to bring those fixes to GOG then you should be offering Steam keys to those that want them, rather than treating us as second rate citizens.